Treadwell's Bookshop in Bloomsbury, London, is offering a double dose of poppet magic on Saturday 14 July. First I'm going to be teaching a mini-workshop called Poppets in Practical Magic. After that I'll be signing copies of Pagan Portals - Poppets and Magical Dolls at the very first launch event for my new book. The book signing is completely free to attend - and launch copies will be available at a discount price. This workshop introduces the poppet's history, but is mainly dedicated to teaching how to prepare and work magic with one. Each attendee will make one in class to take home, with all supplies included. Time: Arrive 12.50 for 1pm arrival. Ends 3.15pm. All invited to book-signing afterward. Pop in to Treadwell's for a free informal book-signing on Saturday afternoon, 14 July. 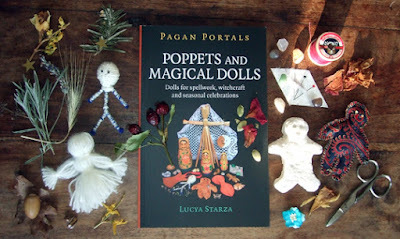 Pagan Portals - Poppets and Magical Dolls isn't officially published until August, so this is a very special early launch event. Treadwell's will be the first shop to have copies on the shelf. 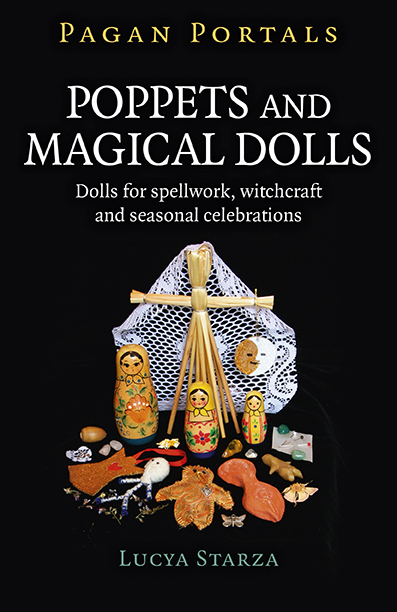 My new book is a guide on a key practice of historical British folk magic: the poppet. A clear, simply-written guide to the materials and composition of the poppet, it concentrates equally on how the poppet was used in the past for spellwork for harm and for healing. 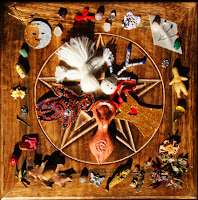 Its practical side deals with how a practitioner today can make one in line with the traditional principles, how to magically activate it, and how to perform spells with it. I'll be happy to chat about poppet-making techniques as well as sign copies of the book. Free, but please RSVP to info@treadwells-london.com. Launch copies will be at discount price.